According to dermatologist Dr Rajani Katta, your 30s are when you should focus on protection against free radical damage created from sunlight, pollution or high stress. "The first signs of ageing that occur in your 30s and usually are dynamic wrinkles meaning they come from muscle movement. Some women begin to see frown lines or forehead lines in their 30s and may even have early signs of crows feet," dermatologist Dr Patricia Farris says. 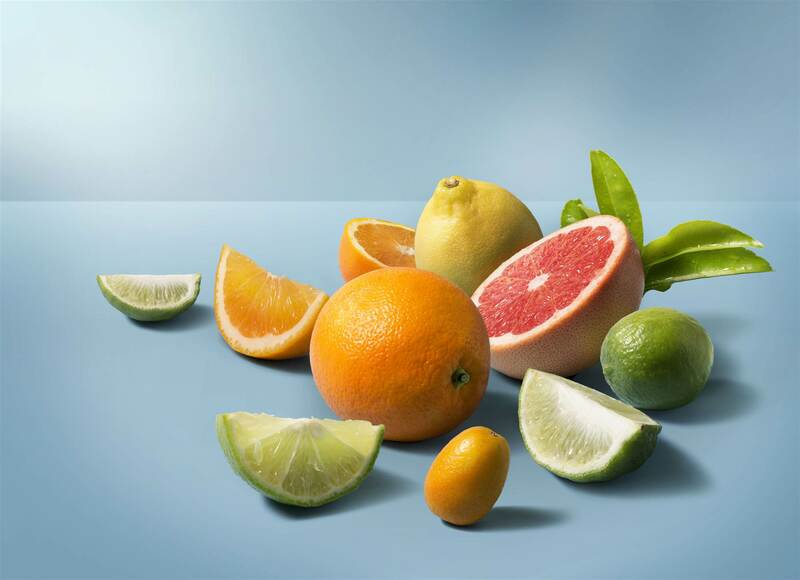 “Vitamin C is essential for collagen synthesis and studies show patients who have diets higher in vitamin C have less wrinkles,” Dr Farris says. Fruits and vegetables that are high in vitamin C include citrus fruits, broccoli, blueberries, tomatoes, red capsicum and kiwi. 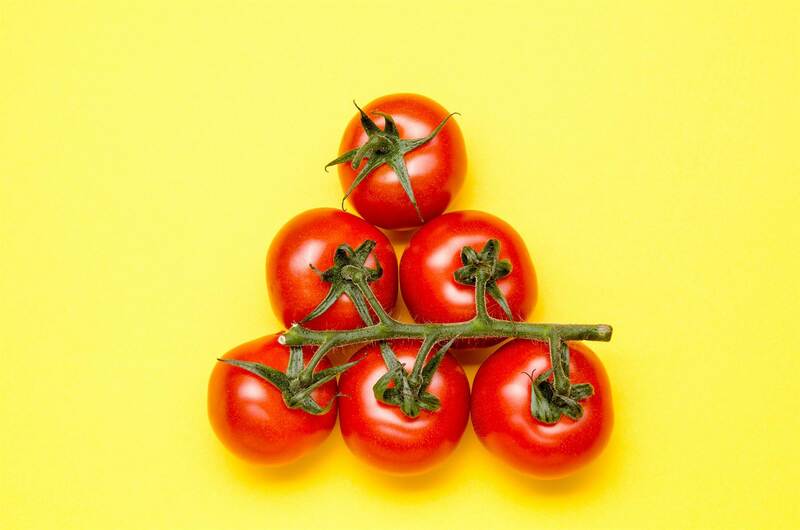 According to Dr Katta, in one study, volunteers consumed tomato paste daily for 12 weeks. At the end of 12 weeks, they experienced less skin redness following ultraviolet exposure, and skin biopsies revealed less skin damage on a cellular level as well. Leafy greens like kale and spinach contain vitamin E, vitamin A, or retinol, which is important for normal skin cell turnover. They're also excellent sources of beta carotene, an antioxidant that can accumulate in the skin and provide protection against UV light, and folate, a vital nutrient for DNA repair, Dr Farris says. 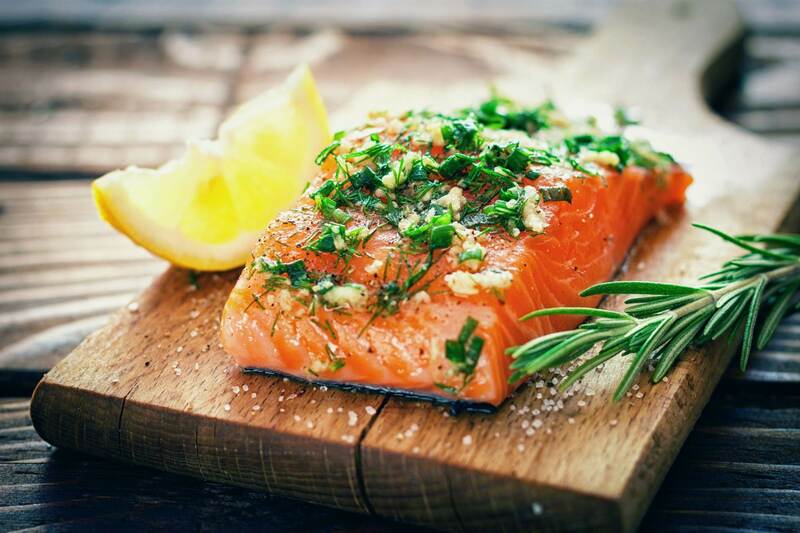 “Oily fish like salmon, mackerel, sardines, and trout are full of omega-3 fatty acids,” Dr Farris says. “These are great to keep skin supple and moist." Because they're also anti-inflammatory, they help with skin conditions like eczema and psoriasis. These fish also have protein, vitamin E as well as zinc, which is essential for skin health. “Prawn and scallops are also high in protein, low in kilojoules and add in a lot of minerals as well,” Dr Katta adds. 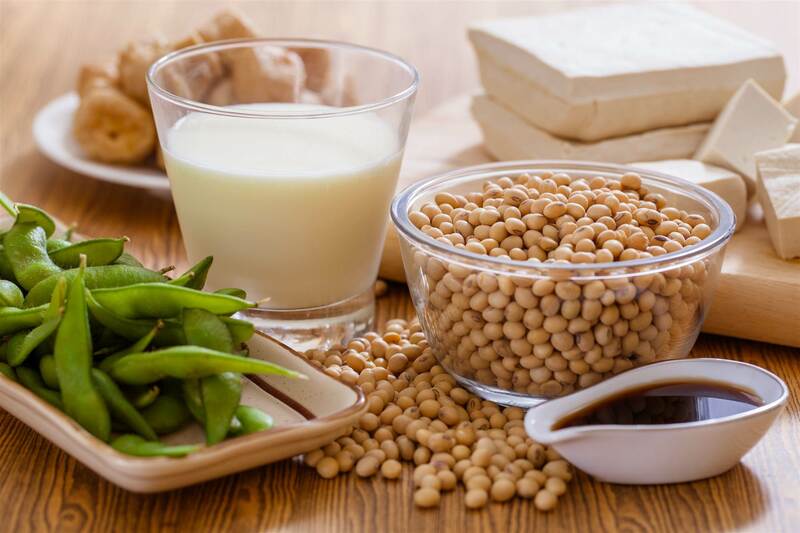 Soy contains isoflavones, which are polyphenolic antioxidants that have been shown to improve collagen production, reduce wrinkles and protect the skin from sun damage, Dr Farris says. 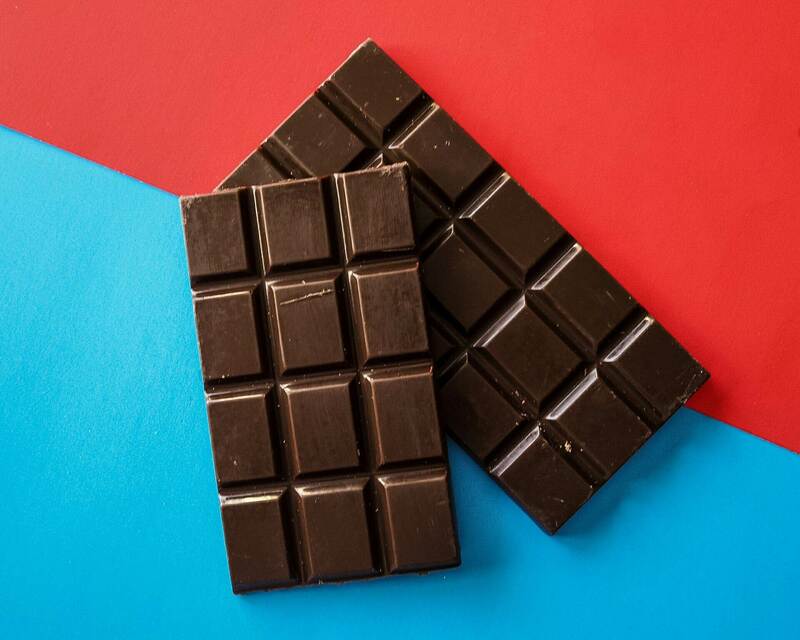 Dark chocolate is also packed with antioxidants, and studies show it increases blood flow to the skin, protects against sunburn and improves hydration, Dr Farris says. Getting a sufficient amount of iron is especially important in your 30s, when you might have increased menstrual blood loss, Dr Katta says. 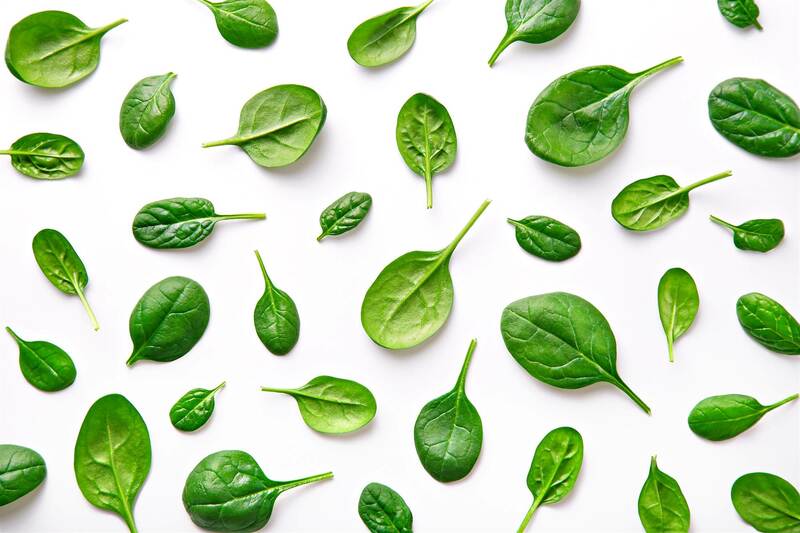 “Low levels of iron can also affect hair growth, as you need iron to be able to grow healthy hair.” Foods high in iron include red meat, clams, prawns, black beans, lentils, spinach and pumpkin seeds. When many women reach their 40s, it's all about a battle with gravity. "In your 40s, you begin to lose collagen and see the first signs of volume loss. Smile lines and marionette lines start to become more noticeable," Dr Farris says. 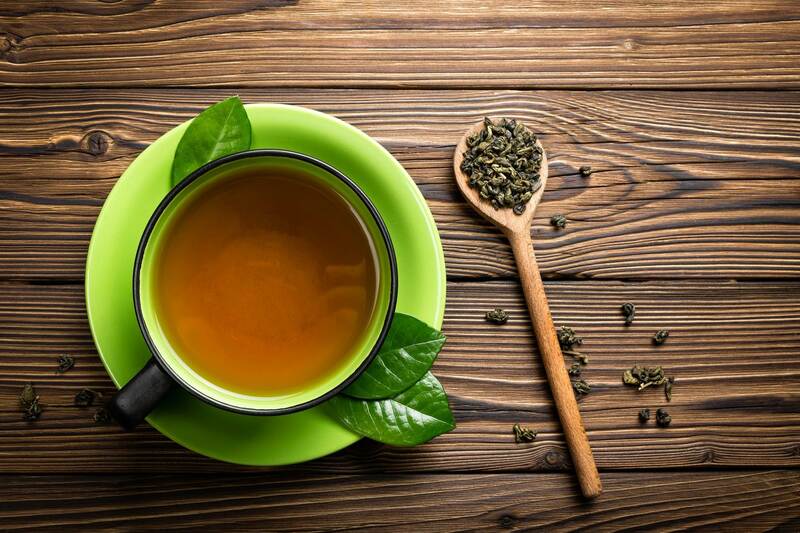 But what you eat can also help slow down the breakdown of collagen. There's a relationship between blood sugar and collagen levels, Dr Katta explains. When you have elevated levels of blood sugar, it can affect collagen, creating new, sticky molecules in the body. These molecules form crosslinks with collagen, which causes damage and makes skin more likely to wrinkle, sag and lose elasticity. Women need to focus on eating high-fibre foods to avoid blood sugar highs and lows. Fibre works to keep you full and satisfied, so you're not reaching for a chocolate bar a half hour after eating your lunch. Dr Katta also advises filling your plate with lean protein and other foods with complex carbs. 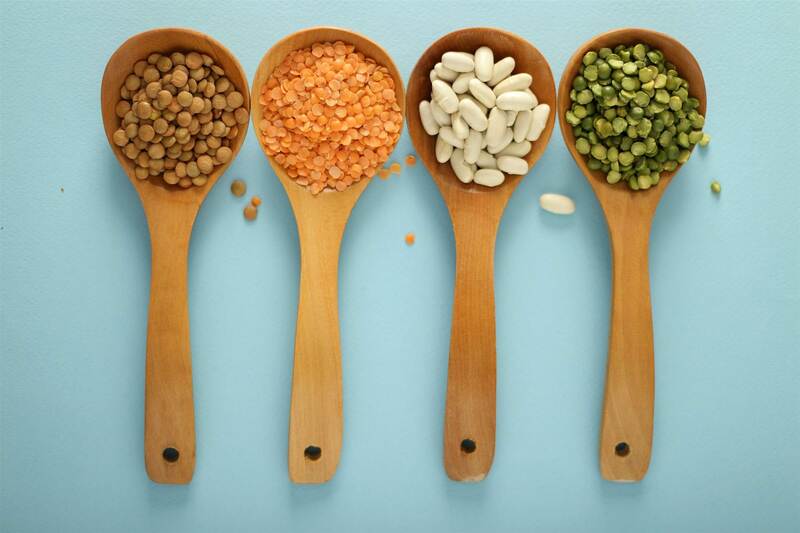 A wide range of fruits, vegetables and grains, including chia seeds, lentils, kidney beans, oats, popcorn raspberries, pears and artichokes are all good sources of fibre. In your 40s, you're at an increased risk of irritable bowel syndrome (IBS), which is often related to stress and changing hormone levels, Dr Katta says. “IBS can be due to gut dysbiosys. We all have microbes that live in GI tract, some of which are good and bad. When you have IBS, you have less of the good microbes and more of the bad ones. Those in the gut can affect the skin because they produce substances that strengthen skin barriers," Dr Katta explains. If you have enough good microbes, you can help reduce moisture loss and irritation in the skin. For this reason, Dr Katta recommends eating foods containing prebiotics and probiotics. Prebiotics encourage the growth of good bacteria in your gut and can be found in foods high in fibre, such as oats, legumes and artichokes. On the other hand, probiotics contain live active cultures of good bacteria that benefit the skin. 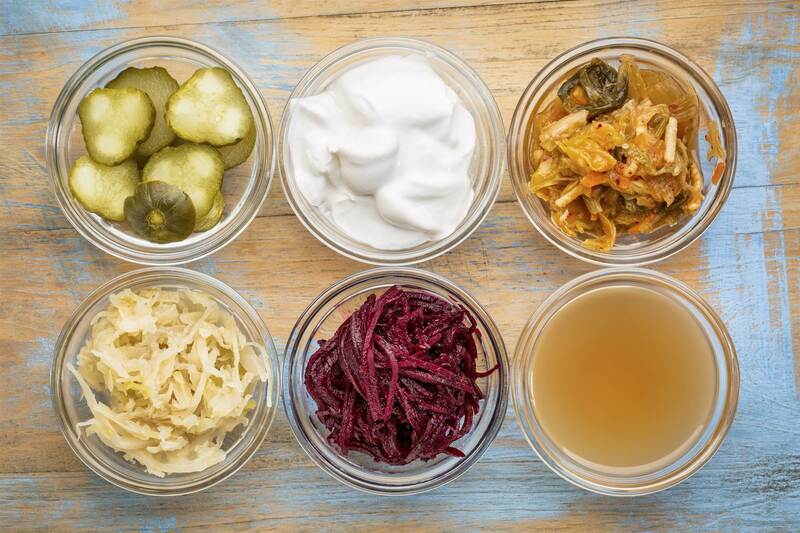 Foods high in probiotics are kombucha, yoghurt and sauerkraut. 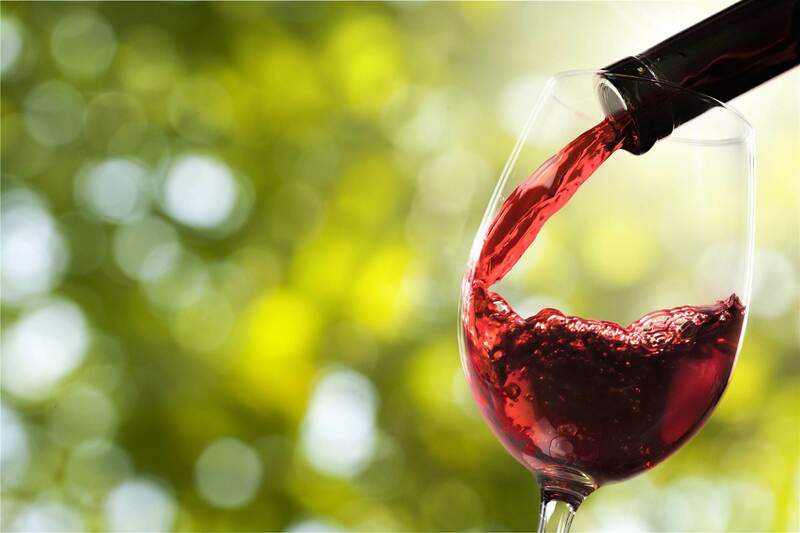 Once women reach their 50s, volume depletion becomes a big problem as you lose one percent collagen a year after menopause, Dr Farris explains. 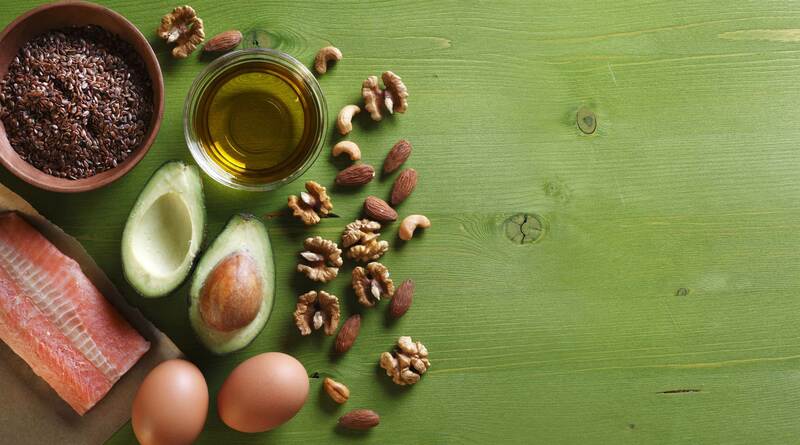 “In your 50s, one thing women are concerned about is that their skin doesn’t retain moisture as well, so you will want to think about ways to eat to help skin barrier retain moisture better, such as by eating foods high in good fats, Dr Katta says. “You’ll want to incorporate good fats in your diet such as omega-3 fatty acids, which can be found in salmon, ground flaxseeds and walnuts," Dr Katta says. Sprinkle ground flaxseeds over your salads, porridge, or muffins. Just make sure they're ground because your body can't absorb whole flaxseeds, and store them in the freezer to retain their omega-3 fatty acids content. Nuts, such as walnuts and almonds, also have lots of healthy fats, in addition to an amino acid called L-arginine that supports protein synthesis, which is good for healthy hair, skin and nails, Dr Farris says. “Avocados have healthy fats and vitamins C and E, which are good for keeping the skin hydrated and wrinkle-free," Dr Farris says. Moreover, olives and olive oil have polyphenol antioxidants that can help calm irritated skin. 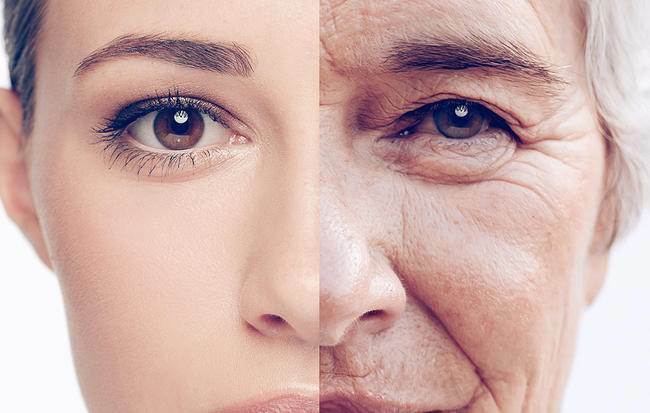 “Some women report skin becoming more sallow and losing radiance in their 50s,” Dr Katta says. 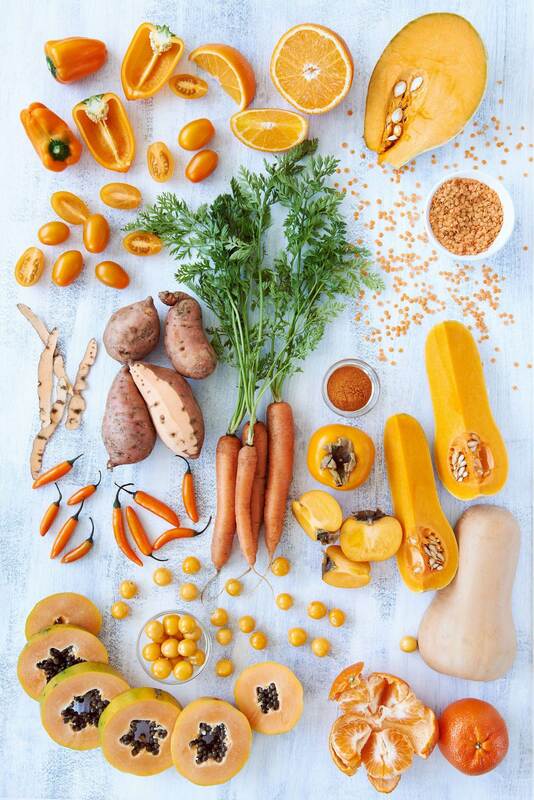 In one study, researchers found that increasing fruit and vegetable consumption over six weeks led to skin colour changes that were seen as healthy and attractive, due to carotenoids. 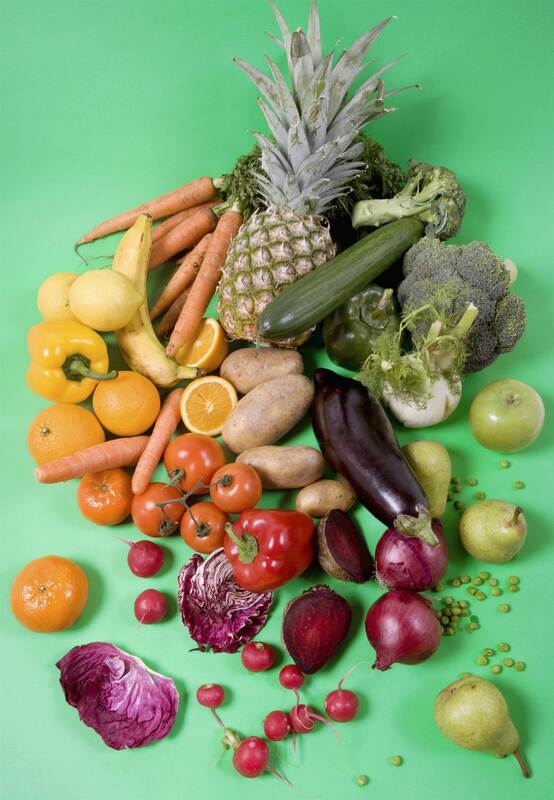 Examples of these fruits and vegetables include sweet potatoes, carrots, red capsicum, because they all contain beta carotene. “Sweet potatoes are full of beta carotene and vitamin A and C, and this trifecta of antioxidants can give your skin a rosy glow,” Dr Farris says.